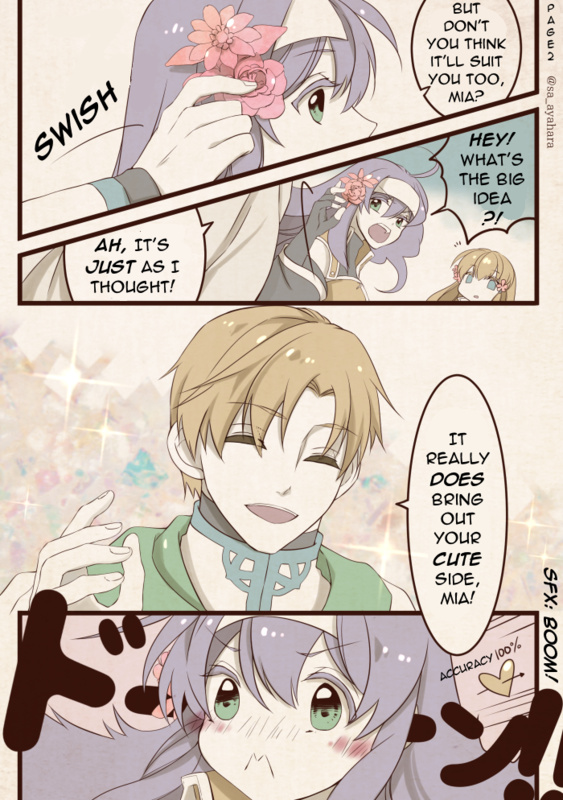 This comic was originally drawn by artist @sa_ayahara who draws quite a lot of fan art involving the two. So please keep in mind I did not draw these. 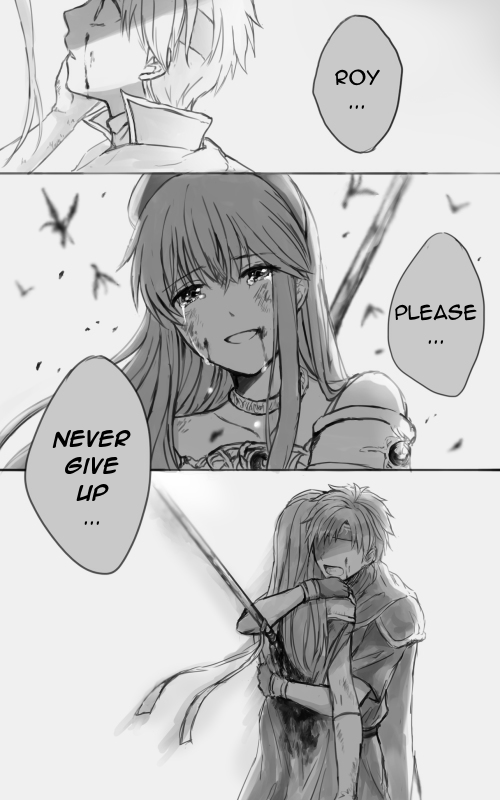 I simply translated them. I asked for her direct permission to translate them, and she granted (and in fact encouraged) me to do so. She asks that her works not be reproduced elsewhere without her permission. See her wonderful pixiv profile here. 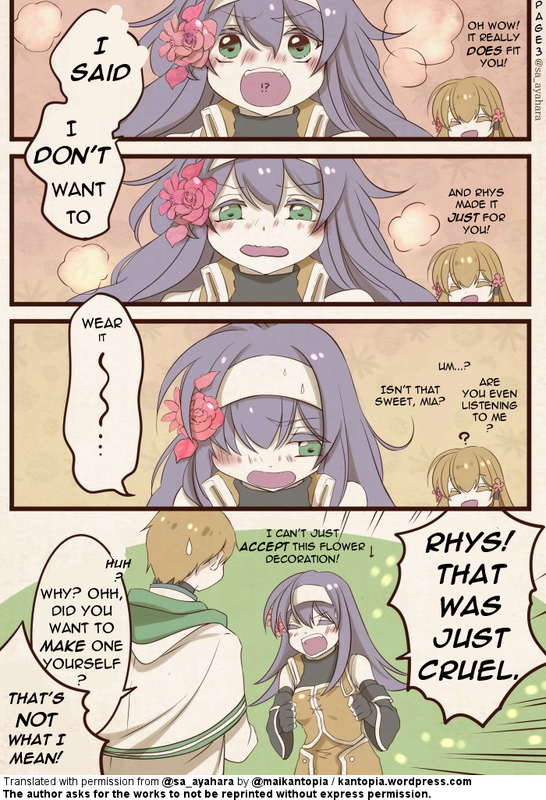 She does a lot of Tellius (FE9/10) art beyond just Mia and Rhys, too! The original comic in its original language can be found on this tweet of her’s. 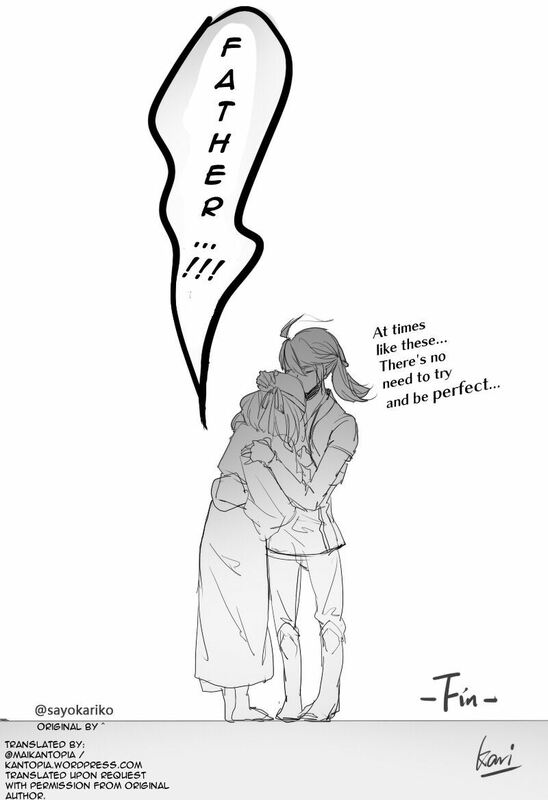 Below is my translated version. Please do not reproduce it elsewhere. 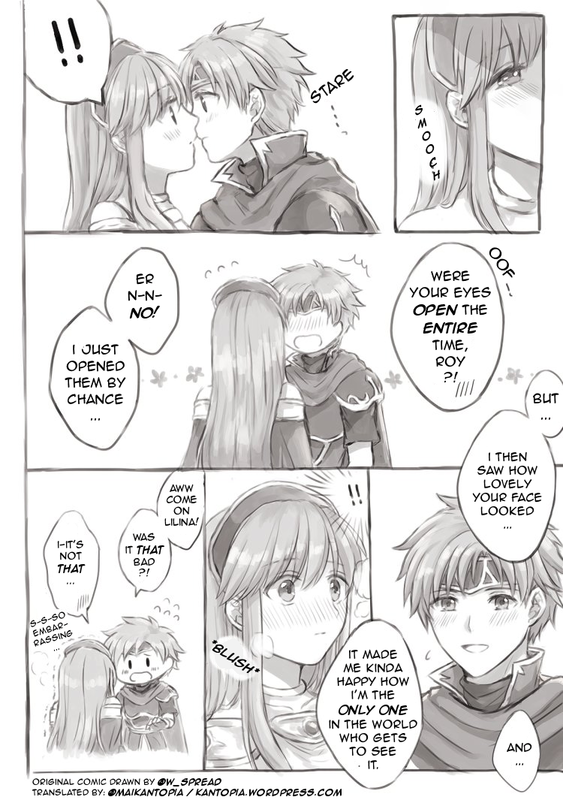 Today I translated a single page fan comic featuring Roy and Lilina from Fire Emblem: the Binding Blade. 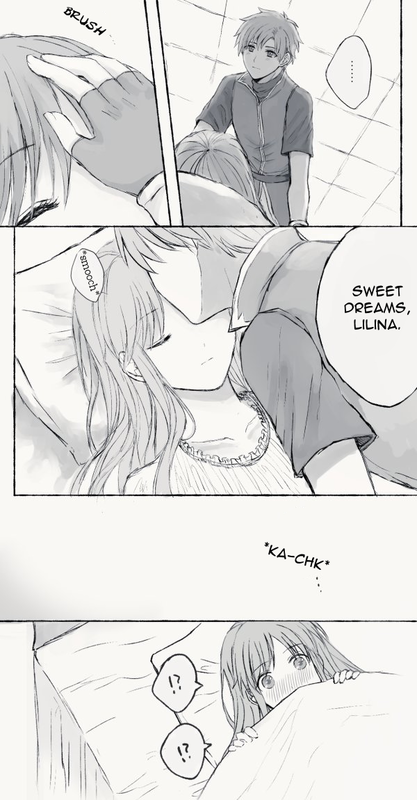 This comic was originally drawn by artist @w_spread who draws quite a lot of fan art involving the two. The original comic can be found on this tweet. 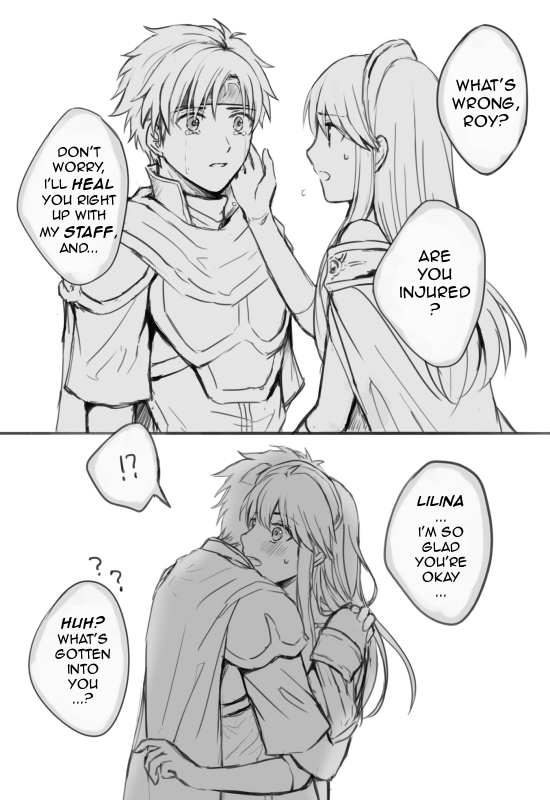 Today I translated a very brief (2 page) fan comic featuring Roy and Lilina from Fire Emblem: the Binding Blade. The original comic can be found on two tweets. Page 1 is here. 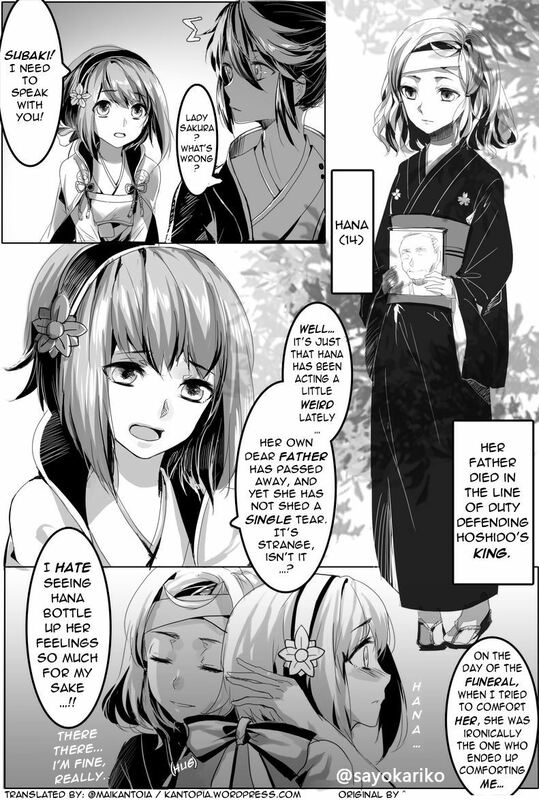 Page 2 is here. 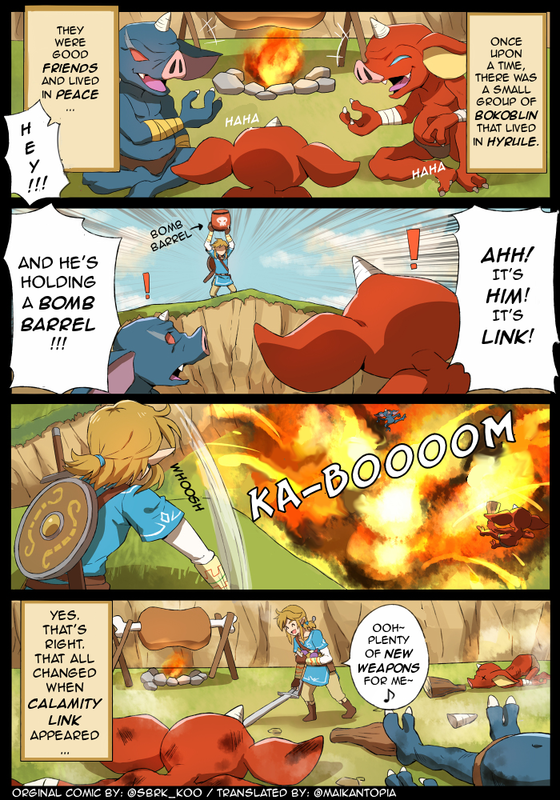 Today I translated a fun, single page comic that puts things into perspective, based on Breath of the Wild. 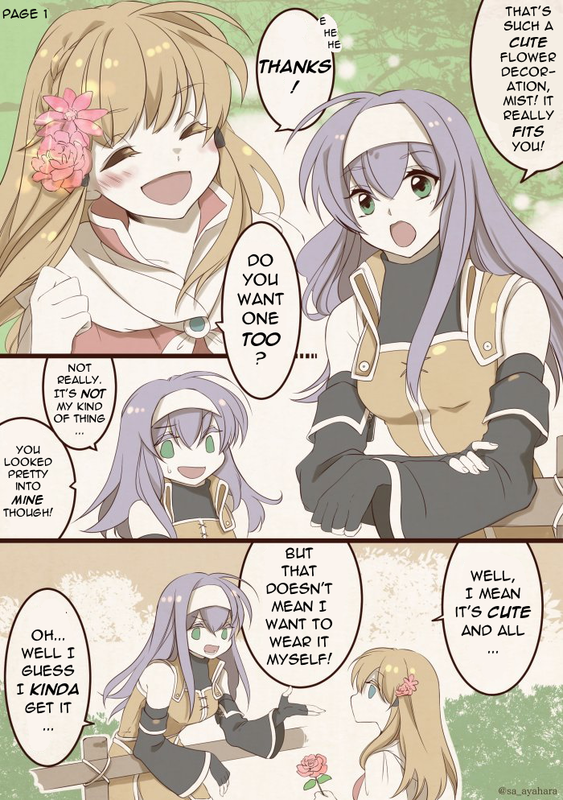 This comic was originally drawn by artist @sbrk_koo . 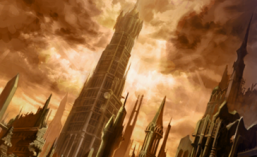 See the original in the gallery here. So please keep in mind I did not draw these. I simply translated them. I did however have to edit the graphics slightly to get the English sound effects in there! 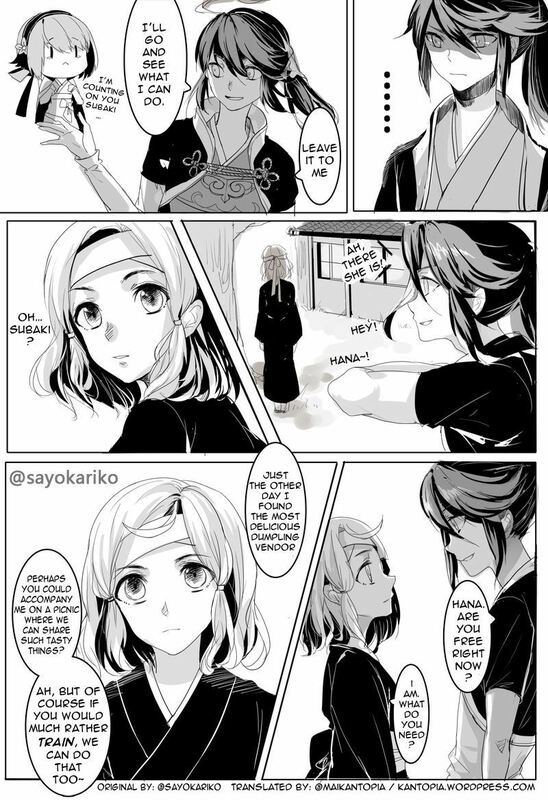 Today I translated a short (4 page) fan comic featuring Subaki, Hana, and Sakura from Fire Emblem Fates. This size of request is fairly simple to handle. I asked the original artist (sayokariko, also on twitter) for permission too, to which she gave me the go-ahead so long as she is credited! If you have any requests, or are feeling kind enough to donate, please use the “DONATE” button on the top right of this page! 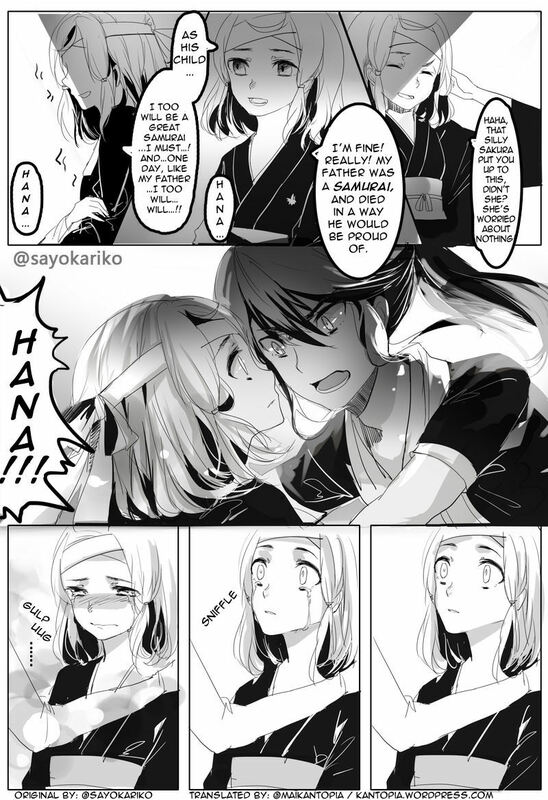 Original comic in sayokariko’s gallery here.